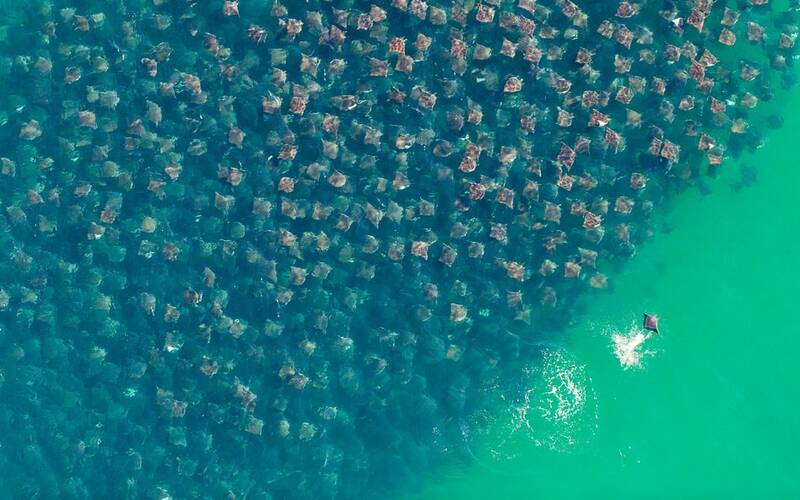 The other day, my brother-in-law sent me a link to this photo of Munkiana Devil Rays moving in a massive group. It has had me thinking about how the earth changes and some animals just know what to do instinctively… The photographer said that even the pilot of this aerial expedition had never seen anything like it in 20 years of surveying this area. What do you think? Rare occurrence? Or just never recorded by humans? Either way, it’s simply amazing.